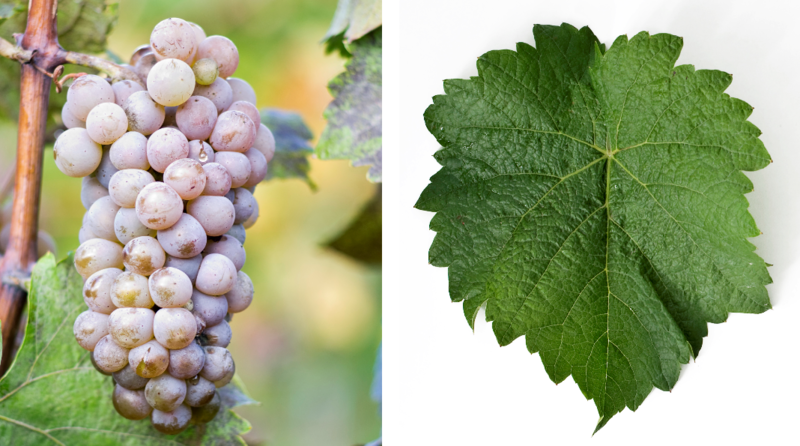 The white grape variety (also Hybernal, GM 322-58) is a new breed between (Seibel 7053 = Chancellor x Riesling ) x (Seibel 7053 x Riesling). They are genes of Vitis labrusca. Vitis lincecumii. Vitis rupestris and Vitis vinifera contain. The intersection of hybrid took place in 1944 by Heinrich Birk (1898-1973) in Geisenheim (Rheingau). The variety protection was granted in 1977. The late-ripening vine is resistant to frost and moderately against both mildews, It produces fresh, fruity white wines that have a subtle Foxton can have. She was in 2010 in Germany (Growing area Rheinhessen ) grown on one hectare of vineyards. Small stocks should also be in Czech Republic and Canada give. This page was last modified at 19 February 2019 at 09:21.